The countdown is finally over as one of the most anticipated smartphone events of the year has finally begun. While the Mobile World Congress 2018 is scheduled to take place from 26 February to 1 March, as is the case every year, some brands will be launching their products a day before. Leading from the front is Korean giant Samsung which will be launching its 2018 flagship — the Galaxy S9 and Galaxy S9 Plus at 10.30 pm IST. But before Samsung, Huawei will have its own event where it is expected to launch tablets at 6.30 pm IST, followed by Nokia which is expected to launch the Nokia 7 Plus, Nokia 1 and probably a 4G variant of the Nokia 3310. We will be reporting live from Barcelona. Follow along for the latest updates. DJ Koh taking us through the evolution of phones to smartphones, and Samsung's contribution to it "For all the progress we have made, there is still a lot of work to be done," says Koh while committing to open innovation. Nokia had a cryptic video go up on its Twitter handle, Wonder what new features one is going to see on Nokia Mobile handsets? Microsoft has also optimised the OS for the Huawei MateBook Pro X Instant Translator will help with translation across multiple languages and devices. Cortana integration will come built-in. Richard Yu is talking about the MateBook series "We have got an impressive feedback. People like the design of the MateBooks and love the laptop experience. Consumers love it," says Yu. This would be the third generation of MateBook series. The focus this year will be on improving the performance says Yu. Richard Yu is enlisting the needs that different consumers want from the MateBook, explaining it through the use cases of an Editor, an Architect and more. We are live from the Huawei event in Barcelona. The event is scheduled to begin soon. In case you haven't been following the MWC 2018 news cycle, worry not. Tech2 has an entire page dedicated to just MWC 2018 related news and speculations. Head over to our MWC 2018 page to get up to date will all that you may have missed so far. 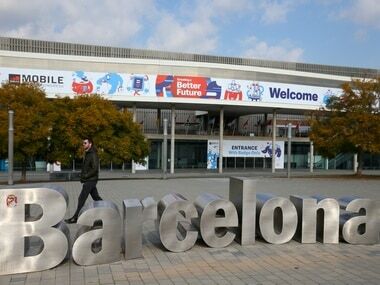 Gadgetwala aka Ankit Vengulekar is in Barcelona, Spain to attend Mobile World Congress 2018 to give you the latest news and updates from the show floor Here's a look at what we can expect to see over the course of the event. 1st look at #GalaxyS9 #ARemojis. Front camera shoots your selfie and animates your face to 16 expressions. Can customise face, outfit, accessories. Works across all messaging and social media apps. Makes GIF of animation. "Samsung Knox is enterprise ready to help with IT managers configure, update and deploy their devices with ease," says Chung. "We want to use software to make your user experience more useful," says Chung. "Samsung Pay is available in 20 markets. Samsung Health lets people live healthy lives. With Bixby we have an intelligence platform making it easier for you to use your phone the way you want it." says Chung. Bixby real-time translate tool will let you translate foreign languages live, just like Google Translate. Using the Bixby object recognition, you can log your food using Bixby. Justin and Jonathan are demonstrating live AR emoji chats showcasing how the AR Emojis map to your face. A lot of lag was observed. Samsung has partnered wth Disney for AR Emojis as well. Augmented reality will map your facial features and make emojis that look like you. You can do this with both the front as well as rear camera. Jonathan Wong just demonstrated an AR Emoji, where the software got the hair wrong. Now he's accessorising the emoji. This is like taking Bitmoji and adding a lot more personalisation. S9 will generate 18 personalised emojis modelled after you. They are shareable with other friends irrespective of which smartphone they have. "Galaxy S9+ to come with a tele and wide lens. Samsung is spending a lot of time describing the Super SloMo feature. We get it, it's 960 fps. Background music will be added automatically, you can also save it in reverse. The camera has been redesigned. Jonathan Wong is on stage to talk about the camera. Lilac Purple is the new colour along with other three phones. Samsung Galaxy S9 and S9 Plus are official! "For all the progress we have made, there is still a lot of work to be done," says Koh while committing to open innovation. "There is now a Nokia phone for every consumer, says Seiche. Same camera as the Nokia 7 Plus with telephoto lens and zoom. Made out of stainless steel body. Nokia 8 Sirocco is IP 67 rated for water and dust resistance. New imaging suite with AI powered imaging features - add masks to bothies, animate characters. Dual rear camera with Zeiss optics. Comes with the same design language. two-tone anodisation process. Diamond cut edges. 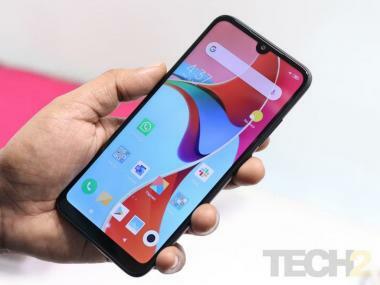 Bothie support which will be supported by voice commands in Google Assistant. Nokia Android smartphone will now let you unlock device by just looking at it. This will enable Nokia to deliver the latest Android updates. Nokia 5 and 6 have been on Oreo for a couple of months, Nokia 3 will receive it on Monday and Nokia 2 will follow soon. Nokia is thankful for the beta testers and fans for quick release of Android OS updates.